Sanders becomes the third elite male triathlete in the last 12 months to sustain a sacral fracture. Days before Ironman 70.3 Oceanside, Lionel Sanders pulled out of the race citing an aggravated sciatic nerve. On April 17th, Sanders announced that an MRI has confirmed a sacral fracture. Sanders is not the first elite male triathlete to have suffered a sacral fracture in the last 12 months. Both Jan Frodeno and Ben Hoffman suffered similar injuries at the end of 2018 in the lead up to the Ironman World Championship. 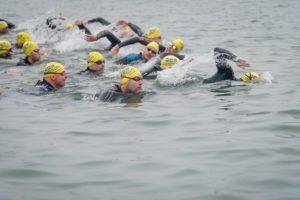 With Ironman Texas now off the table and weight-bearing activities out of the question, Sanders plans to work on his swim in the coming months.